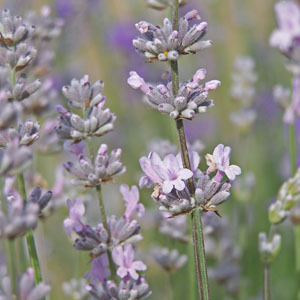 This cultivar of English lavender is the tallest and longest stemmed of the pink lavenders. Flower color is also among the darkest of the pinks, along with 'Chelsea Pink'. The calyx color is green; the corolla is pink. Categories: All Items, all potted plants, culinary herbs, deer resistant, lavender plants, Potted Plants, More..